Sociology is the study of human behavior and the influence of group life upon individual and collective actions. It combines scientific and humanistic perspectives in the study of such topics as interpersonal relations, socialization, social stratification, gender, race and ethnicity, aging, sociobiology, social change, social problems, and institutions such as family, politics, economy, religion and education. Sociology is a valuable liberal arts major for students planning careers not only in social research, criminology, demography or social psychology, but also for those pursuing careers in public administration, gerontology, education, rehabilitation, social services, marketing research, and practically any other occupation focusing on patterns of social interaction and collective human behavior. 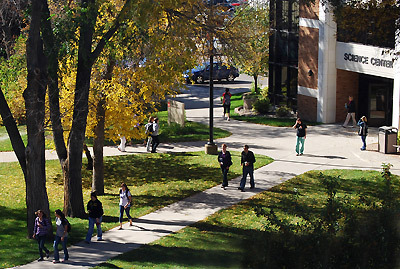 The Sociology Department at Minot State University offers a BA and BSE degree. An undergraduate minor and concentration is also a valuable component of our program as measured by the large number of students who complete these offerings.